For my first two posts on the links between ‘Bloomsbury’ and women’s suffrage see here and here. In ‘Bloomsbury Links’ (Part 3) I mentioned that in 1916 Ray Strachey took over the post of parliamentary secretary to the National Union of Women’s Suffrage Societies and moved to Westminster to be close to the NUWSS office. From 1916 until 1934 she was also chairman of the Women’s Service Bureau, which originated in the war work of the London Society for Women’s Service. 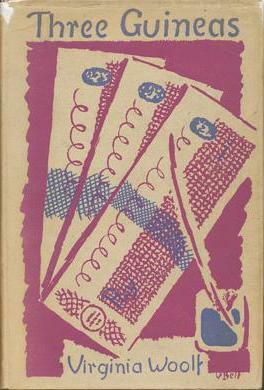 In 1925, when the financial position of the latter society (now called the London Society for Women’s Service) was critical, funds were raised by the presentation at the Scala Theatre of two specially-staged charity performances of The Son of Heaven, a play written by Ray’s brother-in-law, Lytton Strachey. The play – a’tragic melodrama’ -was set in China at the time of the 1900 Boxer Rebellion. It’s director was Alec Penrose, whose (first) wife was the production’s wardrobe mistress, Ralph Partridge played ‘The Executioner’, Geoffrey Webb, later Slade professor of Fine Art at Cambridge, played ‘Wang Fu’ and Gerald Brennan was among the extras. Gertrude Kingston -now elderly and a one-time member of the Actresses’ Franchise League, was the only ‘professional’ member of the cast. The accompanying music was composed and conducted by William Walton – his first commission for the stage. Of it Constant Lambert (who played the timpany in the production’s orchestra) commented – ‘So great was [Walton’s] obsession with ragtime that he was unable to prevent some unmistakeable touches of Gershwin from entering the score!). The critic from The Stage described the music as ‘ambitious and decidedly heavy’. Duncan Grant designed the costumes and sets. These included an Omega Workshop screen and a carpet designed by Vanessa Bell, who was also responsible for the cover of the programme. 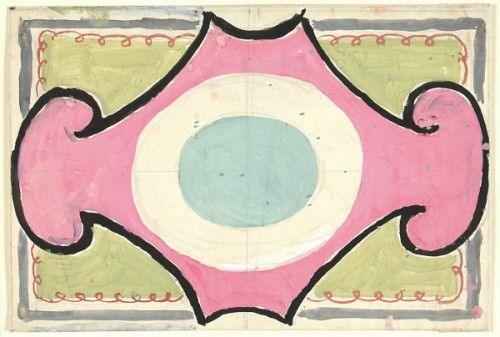 Robert Medley, a painter and member of the cast, remembered the colours used – ‘clear ochres and greys, offset by pinks, oranges and emerald greens’ (Frances Spalding, Duncan Grant). The costumes were painted in a decidedly Omega style by Duncan Grant and Vanessa Bell and proved all too much for Gertrude Kingston. She refused to wear her costume and the designers were forced to dress her instead in a black brocade ‘Manchu’ robe belonging to Lady Strachey. All in all it seems to have been a rather entertaining venture, although I cannot tell you how much money it raised for the LSWS. 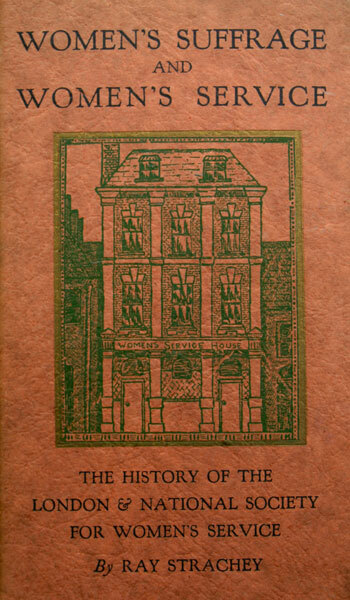 In 1930, when the London and National Society for Women’s Service (as it had confusingly been renamed in 1926) wished to publicise not only its existence but also that of their new purpose-built hall , ‘Although very doubtful of success, Miss [Philippa] Strachey undertook to approach Virginia Woolf, to ask if she would be willing to give a talk on ‘Literature’. In the event Virginia Woolf did agree to speak and on the appointed evening, 21 January 1931, shared the platform with her new friend, Dame Ethel Smyth, who spoke on ‘Music’. The hall, with a library, restaurant and offices, was part of Women’s Service House, the LNSWS’s new Westminster premises. Millicent Fawcett laid the foundation stone on 29 April 1929, barely three months before her death; the hall was intended as her memorial – rather more useful than a statue but, alas, without a statue’s popular appeal (on this bee in my bonnet see more here). Known as the Millicent Fawcett Hall, it still stands at 31 Marsham Street, now put to good use by Westminster School as its drama centre. Back in January 1931 the sub-committee of the London Society responsible for arranging the evening’s entertainment felt obliged to install a microphone for Mrs Woolf – at the cost of £8; there was no suggestion that Dame Ethel required amplification. 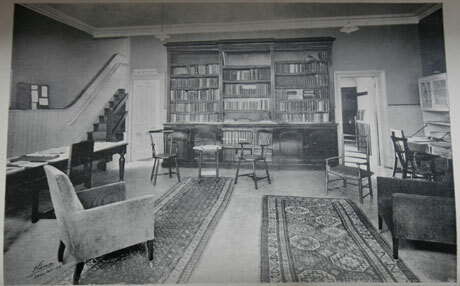 The ‘song’ proved to be the genesis for Three Guineas, and it was to the LNSWS’s library, adjacent to the hall, and to its librarian, Vera Douie, that Virginia Woolf turned when seeking verification of the facts, gathered into footnotes, that fuelled the book’s anger. In March 1938, for instance, she wrote enquiring about peace organisations and the numbers of women involved in working for peace. Vera Douie sent her a full reply, enclosing Mrs Fawcett’s pamphlet on ‘What the Vote Has Done’. A couple of months later , in gratitude for the help she had received, Virginia Woolf offered to supply the library with any books, new or antiquarian that it required. The offer was gratefully accepted; in 1938, for example, Virginia Woolf gave to the library both volumes of the newly published Miss Weeton. Journal of a Governess, a text from which she had copied quotations into her Three Guineas Reading Notebook, and in July 1940 paid for two books by Mary Carpenter, Juvenile Delinquents (1853) and Our Convicts (1864), that had appeared in the catalogue of an antiquarian bookseller. Both the latter are still part of the Cavendish Bentinck collection in the Women’s Library@LSE – although the name of their donor is not noted in the catalogue entry. On 26 March 1941 Vera Douie wrote to Mrs Woolf to say how much she had enjoyed reading her biography of Roger Fry and asking, in her usual delicate manner, for two more books. This time, however, her request was in vain. Virginia Woolf was dead by the time the letter was delivered to Monks’s House. This entry was posted on August 28, 2014, 2:36 pm and is filed under Suffrage Stories. You can follow any responses to this entry through RSS 2.0. You can leave a response, or trackback from your own site.